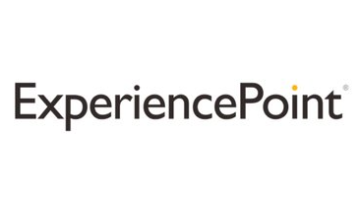 ExperiencePoint is an award-winning learning company that inspires and equips organizations with the tools they need to innovate, creatively problem solve and manage change by delivering innovation and change management training. Our learning-led approach to enterprise-wide culture change is fueling our growth and revealing exciting new marketing opportunities. We're looking for a passionate Marketing Manager to build, execute and manage integrated online and offline campaigns and programs, with end-to-end accountability for helping execute a winning go-to-market strategy that drives awareness, leads and pipeline for ExperiencePoint. You’ll have an opportunity to grow and hone your leadership skills by helping drive alignment with teams across the organization. If you’re an experienced B2B marketing leader with track record of success who is creative, self-motivated, collaborative and innovative AND you’re excited to help build a world-class marketing function, this could be your dream job! You’re a convincing communicator and an even better listener — closing communication loops is a reflex! Think you’re a good fit? We’d love to hear from you. ExperiencePoint is committed to providing an inclusive and accessible candidate experience. If you require accommodation, please let us know.